I’m continuing to post, in serialize fashion, the rough pages, along with the final printed pages (and the original pages if I still have them) to my run on Batman Adventures. Today we’ll look at pages 12 and 13 of Batman Adventures #5, published by DC Comics in February 1993. 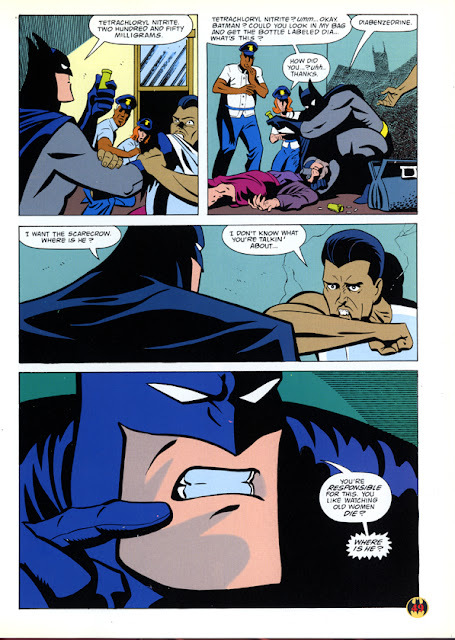 This is part two of “Riot Act”, part one having appeared in Batman Adventures #4. One can see changes in posing between the roughs and published pencils. Much of it comes from the depiction of Mario, leader of the Snakes and the Scarecrow’s main henchman. The script leant towards depicting him as a cowardly weasel. 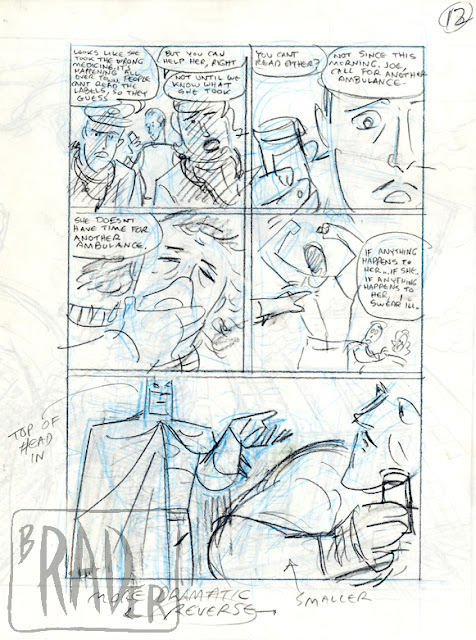 In between roughing (following the script) and pencilling I got the inspiration of giving him some spine, as noted in of page 13, panels 1(Mario is grabbing Batman’s restraining arm), 2 (Mario’s supplicating hand stays in frame after Batman has released him), and 3 (backed against the wall, Mario is prepared to fight to the end). 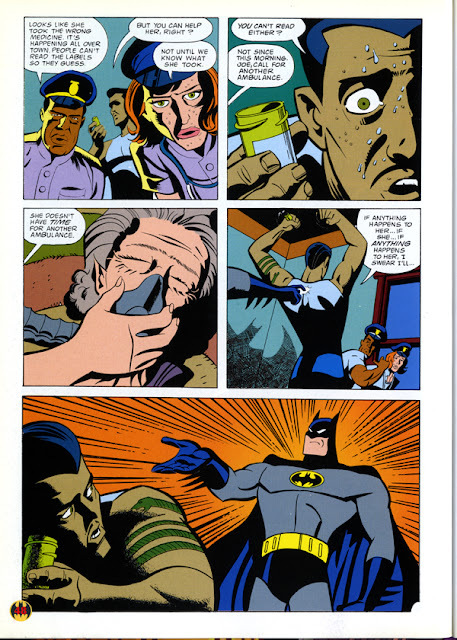 Enacting this minor change caused me to fall in love with Mario; I prevailed upon the editor and writer to change the script so that Mario would be along for the ride (perhaps even instrumental) when Batman and Robin take down the Scarecrow in Act 3. They didn’t go for it. 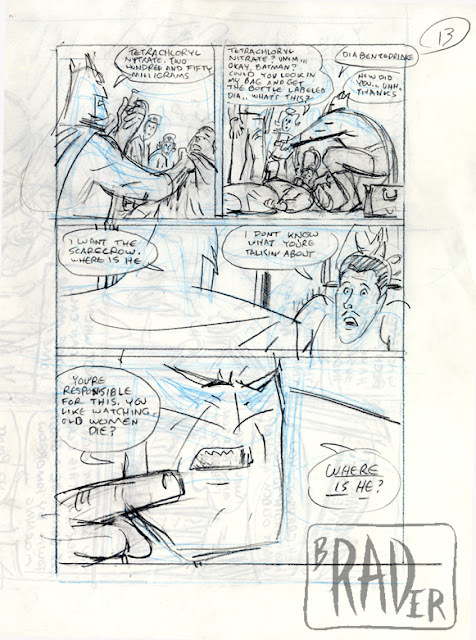 By the way, all those shadow in the background were the innovation of the inker, Rick Burchett. If you like them, thank him.